Cuba is stunning! Arrived here last week ... it's hot, very hot ... but fascinating! 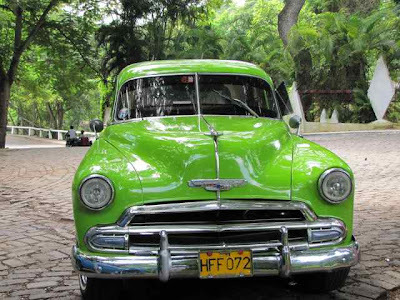 Wonderful cars like the one above; incredible trees and plants; vibrant music; good food and lovely people. 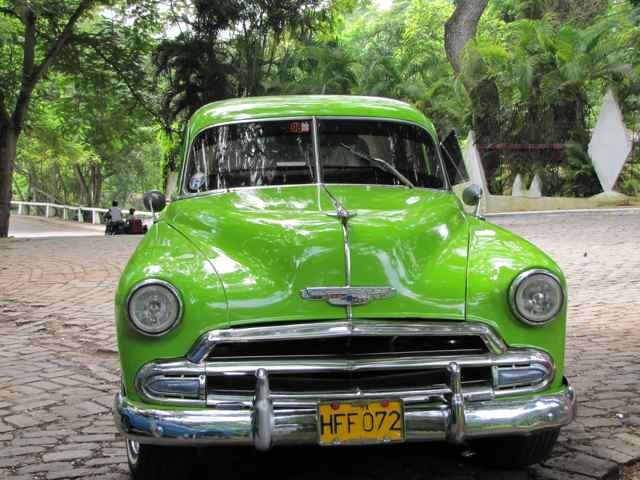 We saw this amazing car near the Botanical Garden in Havana and I thought the colour was appropriate for a brief blog entry today, as I put up just a few pictures of the Japanese garden. Havana is an incredibly vibrant city - everywhere you go there are musicians playing in restaurants and bars. 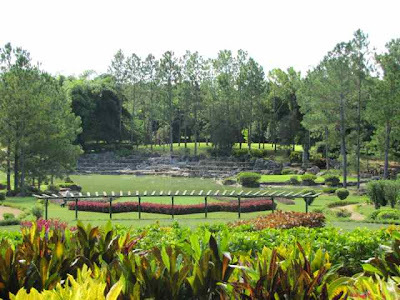 The Botanical Garden is a half-hour drive from the city centre and covers several hundred acres, divided into geographical regions and with many fine specimen trees, including more than 200 different types of palm. Love the car. Have a great trip. How exciting! Love the car and the garden. Can't wait to see more! It looks beautiful! Also, your blog header photo is amazing! Beautiful ... have always wanted to visit! You are so lucky! We lived here during the Rocket Crisis and it Cuba is the beginning of my memories. Oh to go back! That car certainly goes with your current blog style. I can see why you took to it. I'm not a formal garden fan. I run out of interest too quickly - but two hundred palms . . . that would be different. Glad you are enjoying your Cuba visit. That car is really cool! 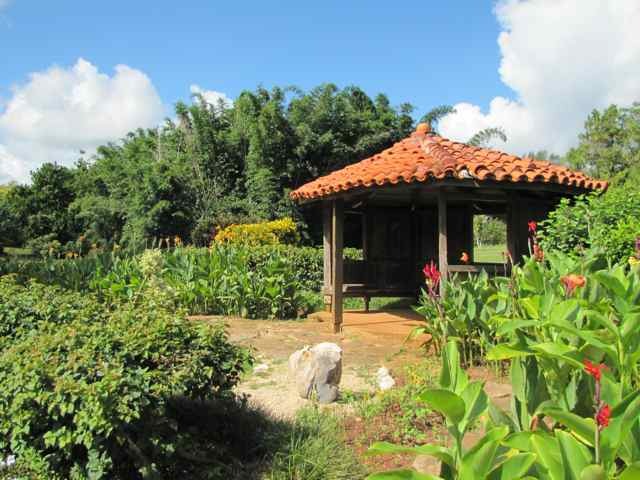 Look forward to seeing more pics, botanical gardens planted in the colonial period are usually amazing.